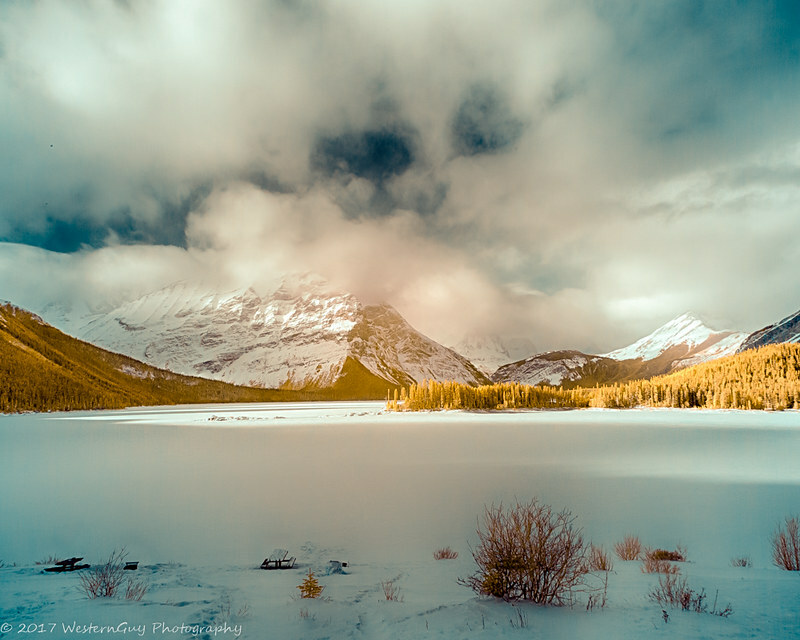 Winter in the mountains - Upper Kananaskis Lake, Alberta, Canada. False colour image was shot with my 590nm converted 5D III and a 24-105L IS II lens. Processing was done in Lightroom Classic CC and Photoshop CC. As usual, relevant comments and questions are welcome. Thank you both for the very kind comments. woollyback, IR is photography with emphasis on the infra-red end of the light spectrum. It works with a camera that has been modified to capture images in infrared. If you are interested, then a Google search will provide plenty of sites with introductory information. Feel free to post any questions you may have in this forum and there are a number of folks here who should be able to provide answers to them. Stunning vista, a place I could sit sit and look at for a while, even in the cold (maybe). Looks like you have a little of that hot spot we were talking about a couple months ago. Guys, thanks for the kind words, they are appreciated. Greg, not sure about the hotspot. I think it may be just a variation in the colouration of the clouds and the light snow that was falling in the distance. I am with WesternGuy on the hot spot. I might expect the hot spot to be blue but not red as it is, which is part of the visible 9or near-visible) spectrum and would have been noticeable in visible-light shots taken with this lens. Thanks. I tried the usual "hot spot removal" stuff, but nothing seemed to work the way it has in the past, which is why I arrived at the conclusion that I did.